Welcome back everyone! 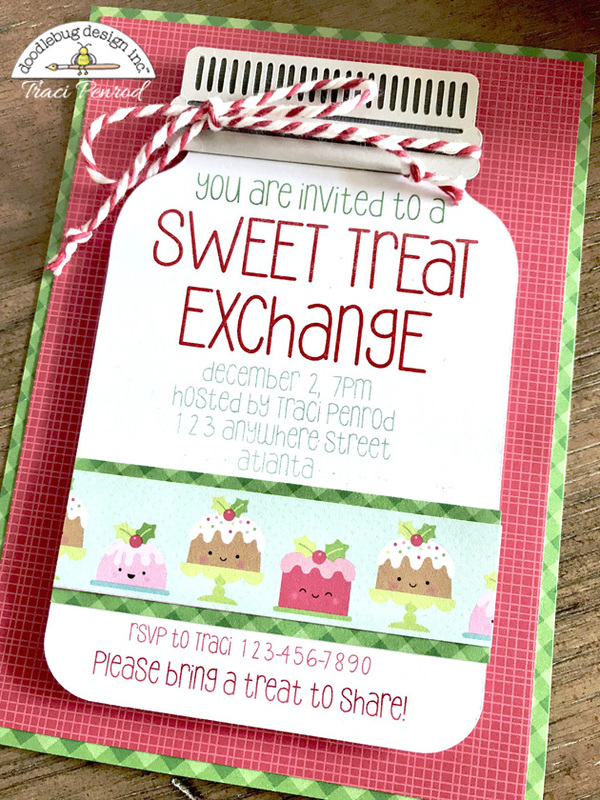 It's Traci, and I'm excited to share a few ideas I have for a Sweet Treat Exchange party. Think cookie exchange, but with any kind of sweet treat! First, every party needs an invitation. For mine, I used gingham and linen pattern papers for the base, and then created a print & cut using Doodlebug's Jar of Hearts design with my silhouette machine. The font is by Lori Whitlock and is called LW cutie pie. 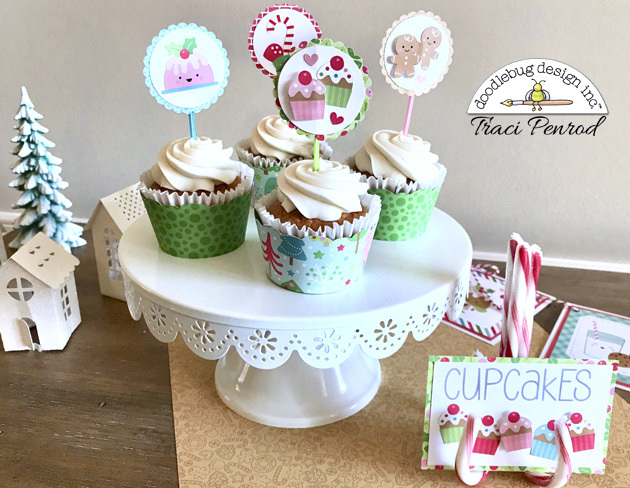 Next, I created some cupcake wrappers and toppers. I punched out scallop circles from Milk & Cookies pattern paper, layered them white card stock circles and icon stickers, and attached them to Doodlebug pixie sticks. I cut the cupcake wrapper out with another Silhouette design. 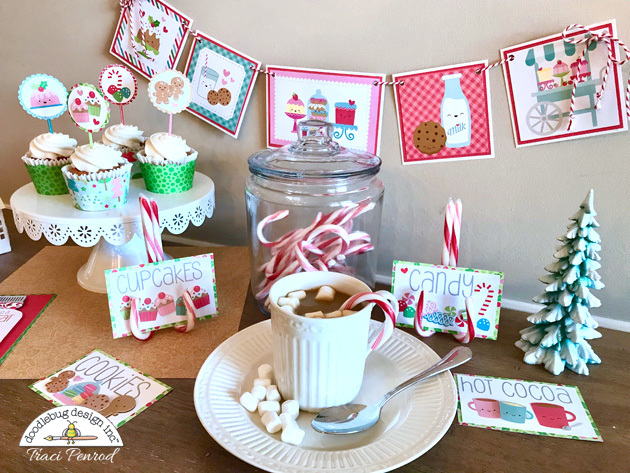 For my little signs, I used the Cutie pie font to print the words, cut the card stock to 2.5" x 4" and embellished each one with icon stickers and a few doodlepops. 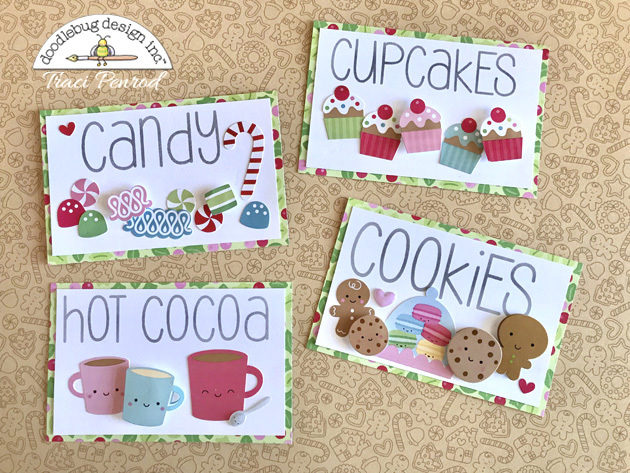 Each sign is matted with merry berries pattern paper. Finally, my little banner is just 4x4 and 4x6 cards from the Milk and Cookies and Cream and Sugar collections. I matted them with card stock, punched holes in the corners, and added ladybug chunky twine. Thank you for letting me share a few party ideas with you today! I hope you have fun partying it up with the entire Doodlebug team over the next few weeks! This is just adorable!!! I love all the little details, such a fun set! All these projects are adorable, love the invitation! !